This vidoe was posted on Roger Davis’ Facebook page in the last day. By way of background, Roger and I were running companies from the same office base in Colchester, Essex, England back in the 1980s and it was Roger who introduced me to gliding, or sail-planing in American speak.. Here’s a short extract from a previous LfD post in 2014. 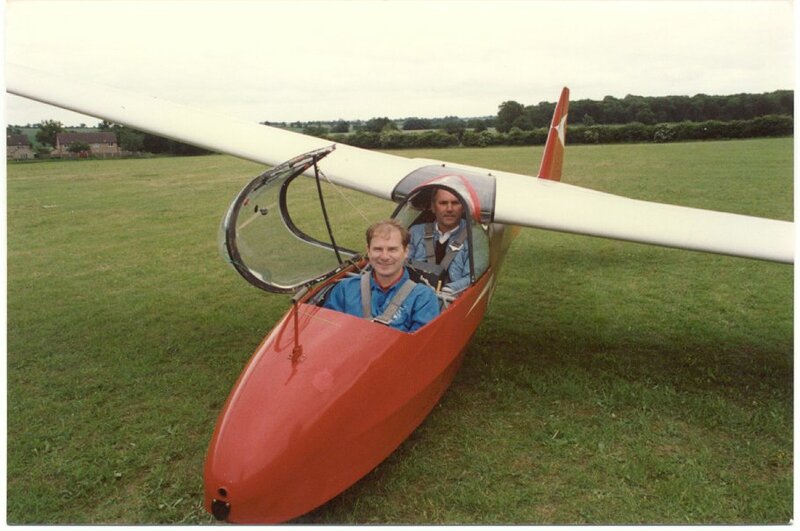 My first exposure to private flying was on the 7th June, 1981 when, at Rattlesden Gliding Club in Suffolk, I was taken up for two air-experience circuits in a two-seater glider known as a ‘K7’. I was immediately hooked! Those experience flights leading to a 4-minute flight (flight number 46) on the 6th September, 1981 that has the remark in my pilot’s log book: Solo! Now fast forward to October, 1984 and my log book shows me attending a gliding instructor’s course at Lasham, resulting in me being issued with a British Gliding Association (BGA) Assistant Instructor Rating on the 14th October. (105/84). Yes, for a chicken that be as valuable as anything else! Mind you, said chicken did seem rather nonchalant about the whole affair.